She’s one of four. And now she’s on her own. 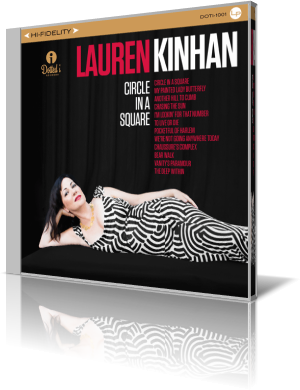 Lauren Kinhan of the New York Voices steps out with Circle in a Square (Dotted i Records, 2014). It’s her third solo album. Kinhan has been with New York Voices for two decades. Following up on her acclaimed 2010 release, Avalon, she presents a set of 12 original songs that are as much about the instruments as they are about her voice. Andy Ezrin provides piano or Hammond B3 organ on all but one track. David Finck and Will Lee split bass duties. Ben Wittman has drums on all tracks and percussion on most. Among the other contributors are trumpeter Randy Brecker, saxophonists Joel Frahm and Donny McCaslin, and guitarists Romero Lubambo and Chuck Loeb. The title song, with music co-written by Kinhan with Ada Rovatti and lyrics by Kinhan, features the vocalist with a small ensemble that includes Lee, Wittman and Brecker. It’s a charming piece that highlights the instruments as well as the voice. Kinhan’s bouncy vocal adds a nice touch. “Chasing the Sun” highlights Kinhan’s scatting skill. Aaron Heick contributes on alto flute with the core trio and Lubambo joining the accompaniment. Kinhan really stretches out here, demonstrating her range and vocal dexterity. Wittman shows off a bit during the guitar solo. Fellow New York Voices member Peter Eldridge co-wrote the music and plays piano on the closing track, “The Deep Within.” Frahm joins them on tenor sax. Kinhan is an exceptional blend with her “day job” as a member of New York Voices. 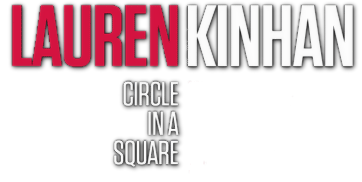 The team concept is also evident on Circle in a Square. She showcases her talent as a songwriter and vocalist throughout, while highlighting the gifts of her accompanists. Each musician puts his or her stamp on the songs without necessarily needing a solo to be heard.